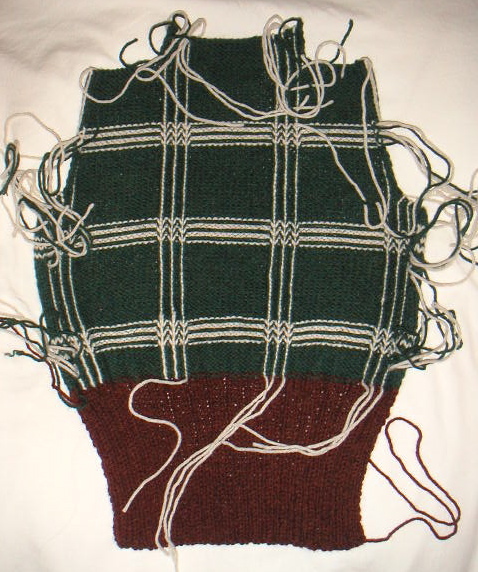 I finished the sleeves to the turtleneck yesterday morning and they are almost done blocking. I started crocheting the vertical stripes last night and it took much longer than I anticipated. Crocheting chain stitch on a piece of fabric is harder than it looks, espcially when it's in the middle and not the edge. So, now I've got ends to weave in and sides to seam up. I hope to be able to wear this later this week!